Is it a rental? Rentals don't usually come with the black Chevrolet bowties on the front though. 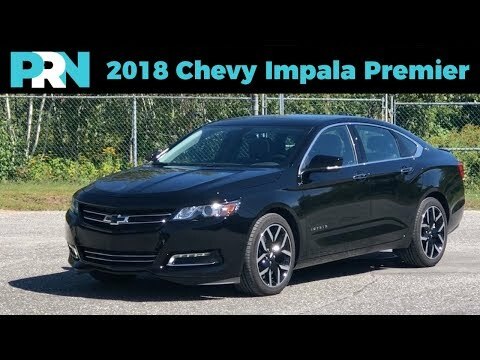 Our Spotlight is on the 2018 Chevrolet Impala Premier, GM's full-size front-wheel drive sedan. We have the fully loaded trim with the Midnight Edition package and Premier Convenience Package. 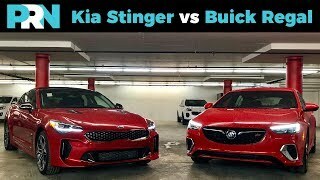 Our full tour and review of this sedan goes over the exterior and interior features of this car, we take it on a road test to talk about how it performs and rides, and everything else you need to know if you're in the market for a car like this. 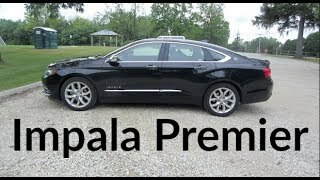 Loaded at just under $46,000 Canadian, we found the Chevrolet Impala Premier offered most of the features mid-size sedans do for around $6,000 less, but still comes short in some areas. Despite this being a full-size sedan, rear seat features were almost non-existent, we'd like to see more focus put on the rear occupants. TestDrive is proudly produced in Acton, Québec, Canada. For the life of me I don't understand this steering wheel gripe with this car. I guess I just look for a steering wheel to perform it's normal task. That’s fair. I felt it was a little bulky and not very pleasant to look at. Most manufacturers are making them slimmer while this was on the chunky side of the spectrum. All comes down to personal opinion though. I get a ton of compliments on the look of it. It gets really sharp by adding window tint. And Installing a halo wire harness to make the halo head lights come on with the daytime running lights. It’s a razor sharp looking car it does turn heads. I have children and man do they find it extremely comfortable and enjoy it. That's partly why we were excited to drive this vehicle, and how it ended up changing our minds quite a bit! 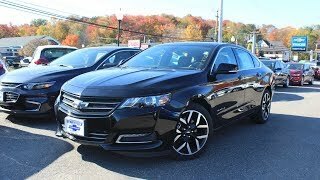 I own a 2016 fully loaded/midnight edition LTZ2 version of this car and I absolutely love it!!!! I get so many compliments on it being a 'sharp looking' car. I will have this car for a very long time! :) Thanks for the review. Glad to hear it! 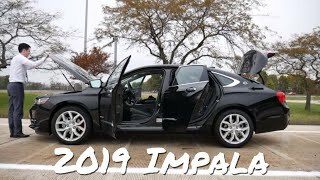 We're very disappointed that GM is planning to kill off the Impala, this was one of the few cars this year that truly surprised us. I like the Chevy interior better than the Lacrosse or XTS. It has more styling to it, looks more exciting. The other Two are very nice, but too conservative. I'm going with the Impala. Either a Midnight edition premier or a pearl premier with the adaptive cruise (Likey the grille and wheels that comes with that). 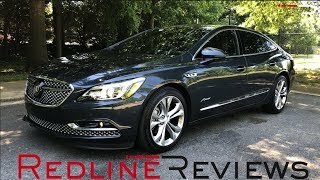 The Impala was easily one of the most surprising cars this past year for us. We hope our episode on it helps to get some more people interested in this car and consider it for their next purchase! This is a great car. Have had the Premier over 8 months now. If you don't like the car it's probably because you have your nose in the air. I had a Cadillac before this one, and this is a dollar for dollar wonder car. Thanks for the video. We were really impressed with this car. Has a lot going for it, we hope GM doesn't kill it off as some of our commenters have pointed towards. Glad to hear it! Full size sedans are still king in our books. We'd be happy to drive one of these also! Hi Nile, I find the Impala has great presence on the road being such a large car. The steering wheel styling generally resembles that of the 2006-2013 W221 Mercedes-Benz S-Class. I was curious whether you found rearward visibility in the Impala to be problematic. The Impala has a sloping parcel shelf that rises from the backseat towards the rear window. Some reviewers have commented that it impairs rearward visbility, while some owners say they get used to it pretty quickly and it isn't a problem with the rear view camera. When it comes to reversing, the camera is definitely a must. We found that the sloped parcel shelf did reduce rear visibility, especially on the highway where it was harder to see traffic behind that was close because of it. 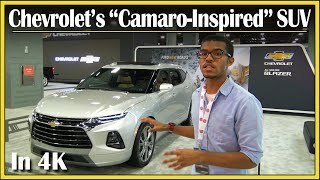 It isn't the first car we've had this issue with, a simple solution for GM could be to offer their video rearview camera which is exclusive on Cadillac right now, but with Nissan rolling a similar system out on their vehicles, maybe GM will too. Seems like this is the general feeling from our commenters! GM should take note! 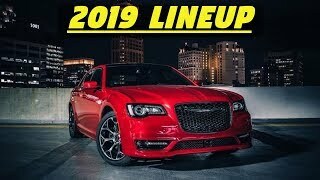 Ok way better than the Taurus, smoother & more roomy than the maxima & more handsome to me, younger looking than the 300 & Avalon & well it'll definitely last longer than a dodge charger but the charger is a beautiful car. The Charger does have a very aggressive look, plus FCA really gives you a lot of choice with that car. 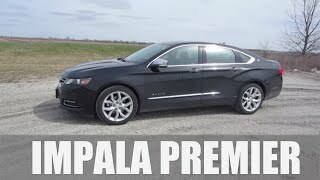 We were pretty happy with the Impala though, doesn't stand out or show off, but it does a good job of being a big car. You don't know what you're talking about there Buckwheat. I've had Chevy farm-trucks (C60's), Pickups, etc. Had an '08 LTZ, & traded it for a CPO 2015 loaded LTZ, with the optional 20" wheels. The ones shown here are 19's, on this Midnight-Edition Impala. What do you drive....a Schwinn? The RWD might be hard to do for a final year, as they'd have to develop a new chassis, however they should be able to stick a V8 in this without much issue. Call it a special edition Impala SS with something the enthusiasts will appreciate as a farewell to the nameplate if they do retire it after 2019. That motorized cubby-hole cracked me up! I give it 2 years before it breaks. Oh yeah! That's going to be going in for service often. What an overpriced pig, I bought the cheapest 4 cylinder model, no options, paid less than 22 k. Live in Chicago, no snow tires, performing just great thank you very much. Keep in mind this fully-loaded price is in Canadian, and it's highly unlikely anyone would pay full retail price on this car. This car was a gem when it came out 5+ years ago....exterior/interior were tops in many reviews. What a shame that GM/Chevrolet does not market this car! They should take this car and put it on a RWD caddy chassis if they decide to refresh it. Of course, they have it on the chopping block with the dive in car sales....but there are still people out there that don't want suvs. We're one of those who don't want to buy an SUV! 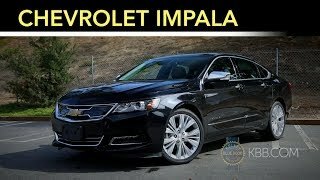 We'd definitely consider the Impala if Chevrolet moved it to truly compete with the Chrysler 300 and Ford Taurus, it needs a longer wheelbase and RWD. Nice ride. Next door neighbor has one. Just price it accordingly. 45 grand, you're swimming in deep water. Agreed! It sits about $6,000 higher than the top-end mid-size sedans we've featured, but misses out on things like a 360º camera, auto-opening trunk, premium leather seating, and other small features. Once you add those in, the $6k doesn't seem like an appropriate difference in price for a few extra inches of legroom. This car was a sleeper. Was surprised by the over feel and ride quality....best purchase I made in a very long time. 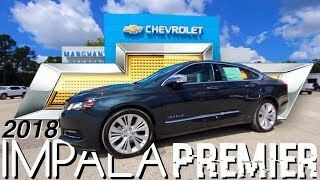 +PRN_TestDrive how would you compare the Impala with the Charger or 300. I can't decide between this and a V8 hemi charger/300 as a daily driver. Perpetual Radio Networks do you feel a difference? I know your beemer is a V8. One of our personal vehicles is a 2001 BMW 740iL which was the original car we started filming these videos on. It's only a 282 horsepower V8 in comparison to the Chevy's 305. Perpetual Radio Networks 7 series? What car? Oh I got u. That last body style. Mines is a 305 like this. Just last gen body. At 305 hp it's not bad at all! 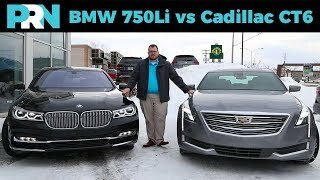 It's why I had to remind myself during the video that our 7 Series only made 282 hp when new. I also dislike the Steering Wheel. But the car is really nice. It's not like Chevrolet has gorgeous steering wheels in their other cars either, but this one is award-winningly terrible. SS is a true sports sedan ! 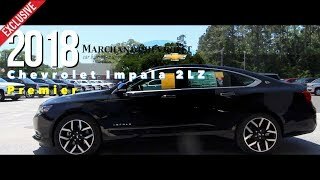 I have a 12' Impala LTZ and it rips, it certainly has a very dated interior for a 12' but it has all the necessities i need such as heated seats, remote start, and a good sounding bose surround sound. 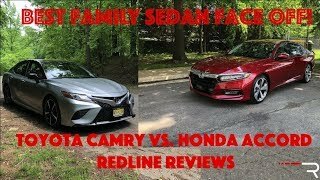 My channel shows my car. a weaker structure than a more modernly designed vehicle. I find the star rating to not hold up to it's initial rating after years gone by and vehicles twice as strong in the same size/weight class entering the field. I guess that's the way things go when we're looking at over ten years ago now since the design and build of the first Impala of that body. I don't see how a 2012 Impala could be considered unsafe. 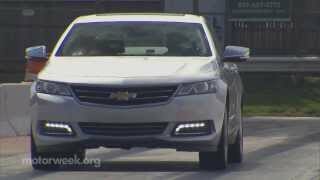 The NHTSA gave the 2012 Impala a 4 star overall safety rating, mostly losing points for no active safety tech, that wouldn't really do anything in a side impact. unsafe. 3 young adults local to me were killed as they were t boned by an acadia in the middle of the night. if you have children I suggest you get them into a safer and more modern vehicle. 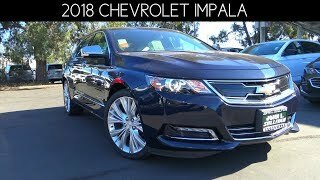 I'd love to see an Impala SS with the drivetrain of a Chevy SS sedan. That would be a car I'd buy for sure. unjaded2 In reply to Chris B.
Herbert Johnson In reply to Chris B. Didn't they already offer that and not enough people were interested? JakeDrives In reply to Chris B.
same! needs a refresh for five more years of solid sales! people will buy these if they make It relevant again. great car! Thats great. Well nothing wrong with having some steady shots in your videos. I guess its something you have to practice at with using those 3 axis gimbal systems. If I had one I'd probably be running everywhere with it saying HEY LOOK AT ME I HAVE A Cool Stabilizer everyone lol. Still the most important part of the video is the product and person on camera. Always remember your here to teach and entertain your viewers so they will come back. We're working to figure out a better way to film while maintaining the production time. Our older videos used a DSLR on a tripod & slider, now we're using motorized stabilizers with software stabilizing to try to reduce some of the hand shake. That's Pretty:) Nice In Depth review buddy! Glad you liked it, thanks! We're always happy to have our minds changed when driving something. I think a lot of people would agree with you on that! This car's saying isn't going to age well, I can already see that. It might not. Most of GM's sedans from the 2000s haven't aged well at all. 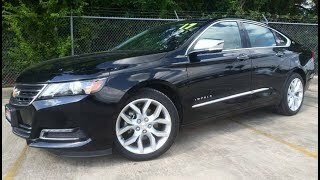 I own a LaCrosse but I've always liked the body style of the Impala. It's a different look, and GM should get credit for not making the LaCrosse a badge-engineered Impala. 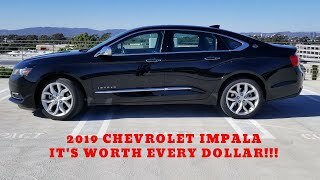 They will discontinue the Impala in 2019. So sad they couldnt make something better like a v8 coupe Impala. At leas I got my 78. PRN_TestDrive In reply to For me it was Tuesday. The SS didn't do very well in sales unfortunately. 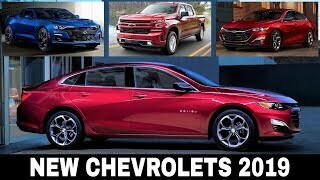 It wouldn't surprise is if GM axed this from their fleet, but then again GM does like to keep a heavy inventory to appeal to as many buyers as possible. dominque jackson In reply to For me it was Tuesday. PRN_TestDrive In reply to Rye Shelton. 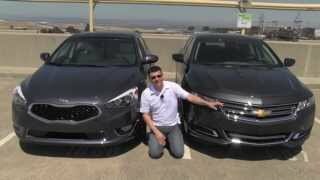 RWD and extend that wheelbase into proper full-size sedan territory and now we're talking! ImpalaDeen In reply to Rye Shelton. If my 12' was RWD, i would cream my pants, i wouldnt want any other vehicle with performance it already has.